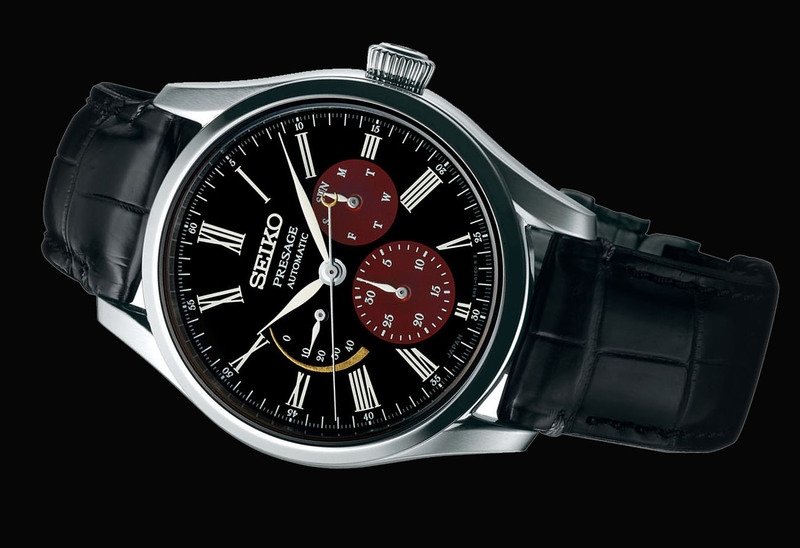 Seiko releases a new Pressage with an urushi dial made by a master craftsman. 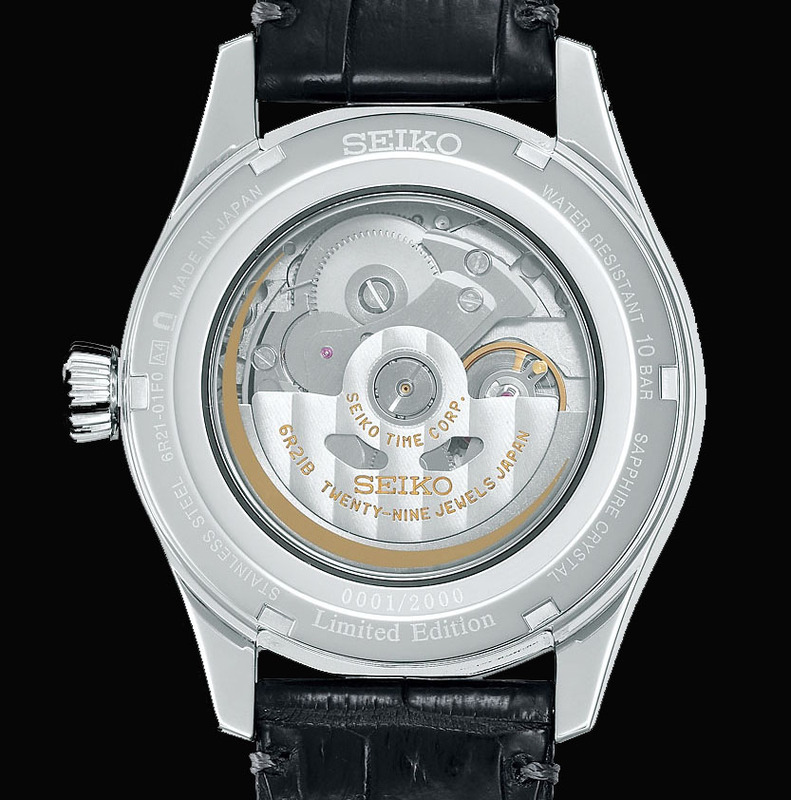 Dubbed the Seiko Presage Urushi Byakudan-nuri, the watch is offered as a limited edition of 2000 pieces. Available now. A new creation in the Presage collection of fine mechanical watches once again takes its inspiration from Japan’s everlasting fascination with the moon. 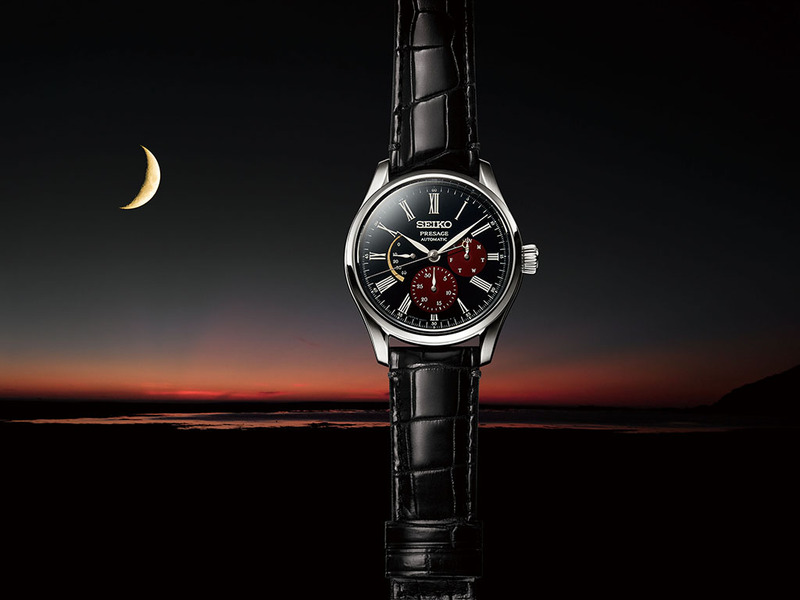 Following on from the success of the recent release with a deep blue enamel dial that evoked the night sky, this new limited edition uses one of the most elaborate lacquer techniques of all, Byakudan-nuri, as well as traditional Urushi, to portray the rich tones of the sky and moon just before dawn. 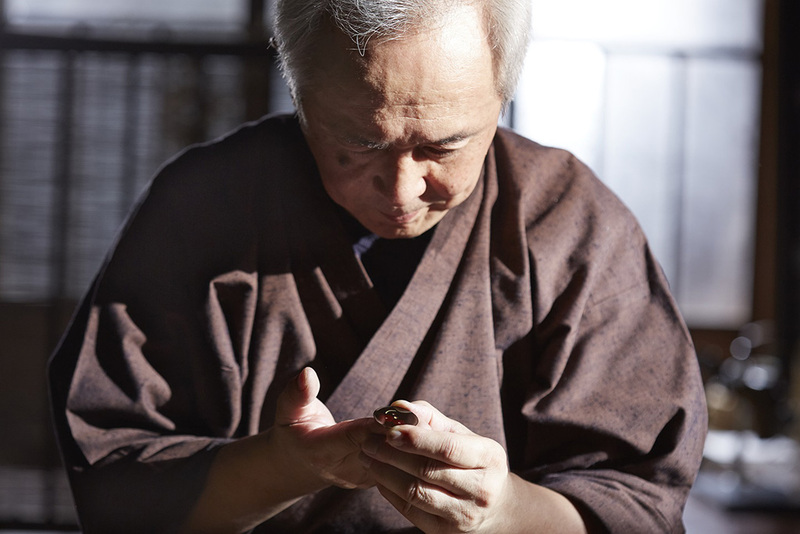 Byakudannuri is a technique that has been used for centuries to decorate Urushi lacquer and, because of the complexity of the craftsmanship involved, was reserved exclusively for use in places and on objects of high status, including temples, shrines and on the armor of Shogun warlords. Urushi, Byakudan-nuri and Maki-e Three traditional techniques are used in combination to create the atmosphere and feeling of the moon against the night sky as dawn approaches. 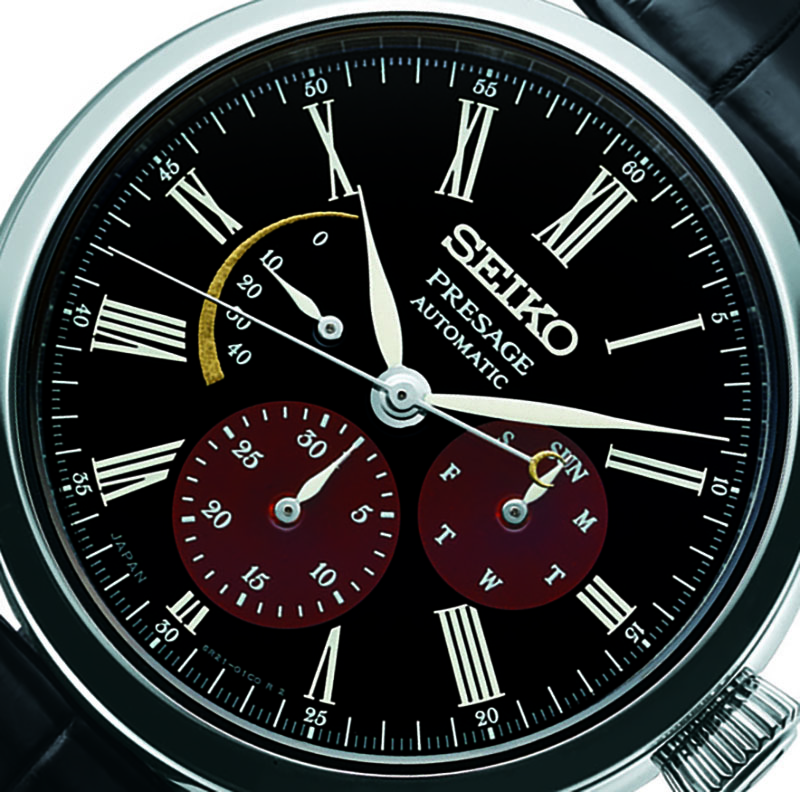 First, the dials are made with the traditional Urushi technique in which jet black lacquer is painted by hand onto the metal base of the dial, dried and then polished. These processes are repeated several times until the craftsman has achieved the exact depth of black that he desires. 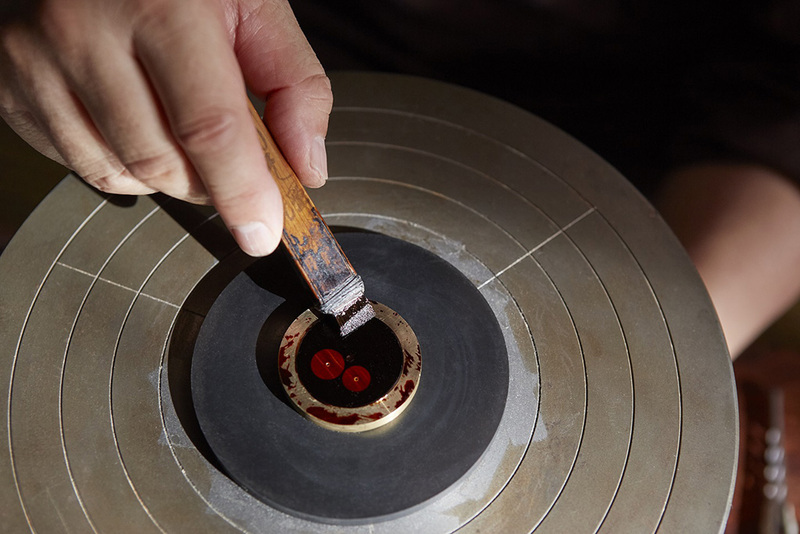 Using a new layer of Urushi as the binding agent, the sub-dials are then sprinkled with a layer of very fine metallic powder. 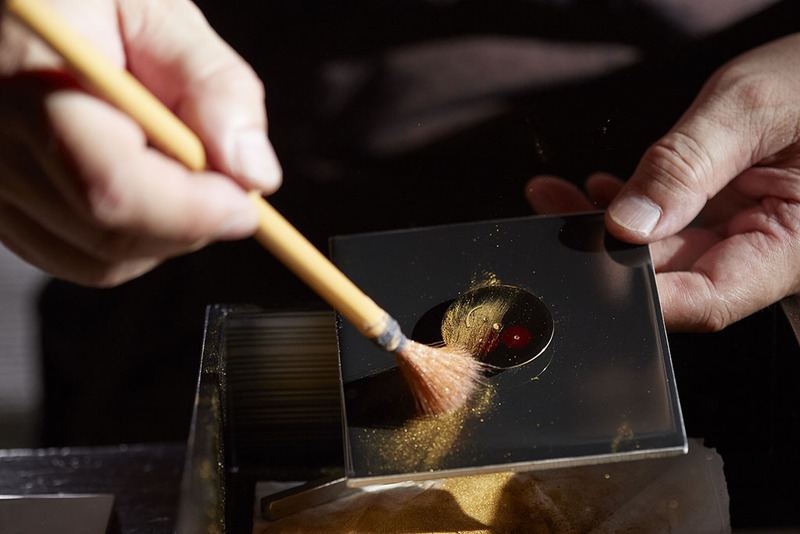 The whole dial is then repeatedly painted with a red-tinged semi-transparent Urushi lacquer and then each new layer is dried and polished for as many times as the craftsman deems necessary. The effect is subtle but deeply satisfying. While the red of the sub-dials is deep, these two dials catch the light and shine when the ambient light grows brighter, just as parts of the sky catch the dawn light before others.